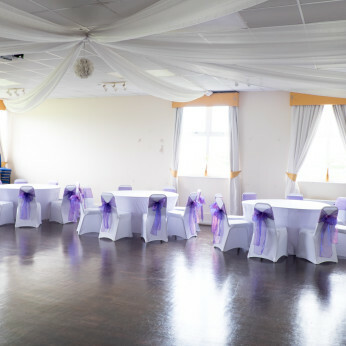 London marathon Sports Ground is the perfect venue for your intimate parties or get together. No celebration is complete without a glass of something nice to toast the occasion. Our fully licensed bar will help to quench the thirst of your guests whilst our catering options will help to keep hunger at bay. The bar is fully stocked with all branded wines and spirits. Whether a meal is a big part of your day or you just wish to provide something light, we have a number of catering options available. Let us take the hassle out of looking after your guests. Whatever the style of your event, we can provide catering options that will be perfectly suited. Party buffets for a celebration, finger food for a corporate event or burgers and chips for a party - we can do them all, and much more. So whether you need a lighter option to keep your delegates fully charged or a want a more formal option, please contact us to find out how we can keep your guests fed and watered at your event. We are holding our annual christmas party for the whole family. The first couple of hours will be kids games and fun with pass the parcel, limbo etc continuing with a family disco for all ages. We are looking foe a confident individual who can work alone and in a team, we are offering a minimum of 20 hours a week,someone who has bar experience essential. As a supervisor you will be a key holder and will be cashing up.